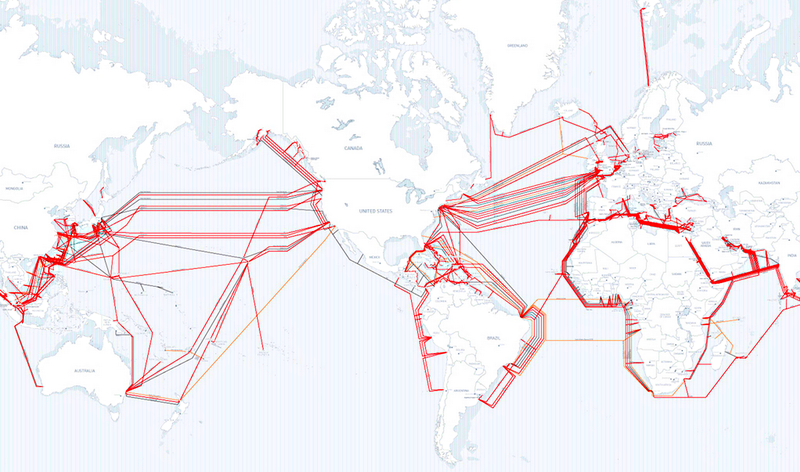 Telegeography's 2012 interactive undersea cable map is out. (Maps like this depict the Earth's nervous system. You and I and the servers are the synapses). This version is missing the direct interaction of the previous version, in which you could click on a cable or landing point to see its characteristics, but it is accompanied by informative figures showing landing stations, pricing trends, construction cost, used international bandwidth, lit capacity, capacity growth and latency. For example, the lit capacity figure is shown here. Global lit capacity (grey) is 16,020 Gb/s, of which only 7,863 is used (red). Most of that, 6,189 Gb/s is used for Internet traffic. Private networks use another 1,658 Gb/s and switched voice only 15. I love maps like this -- they show us the big picture. 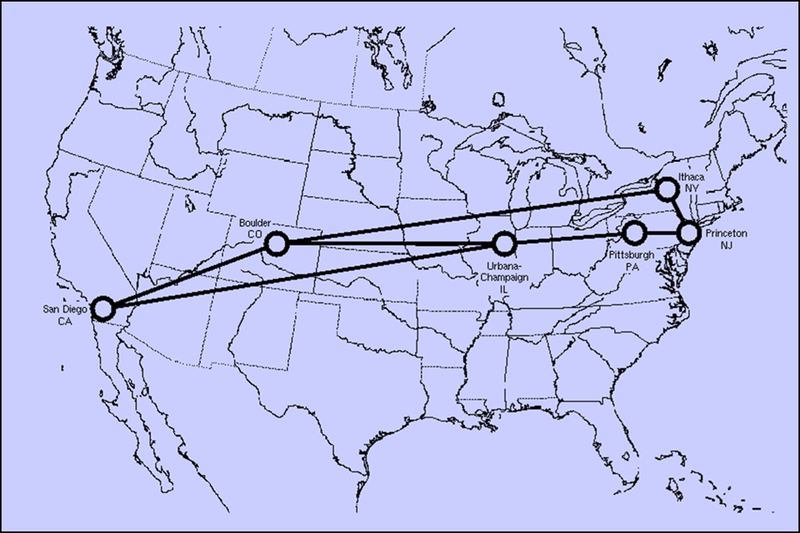 For perspective, compare today's map with that of the US National Science Foundation network in 1986. (Those are 64kbs links). Although TeleGeography has released an interactive version of the 2012 print Submarine Cable Map (http://submarine-cable-map-2012.telegeography.com/), the original online map at www.submarinecablemap.com is still continuously updated. The 2012 map is essentially a static supplement to the original interactive map. Great -- thanks for the clarification! Is the intellectual property situation improving?